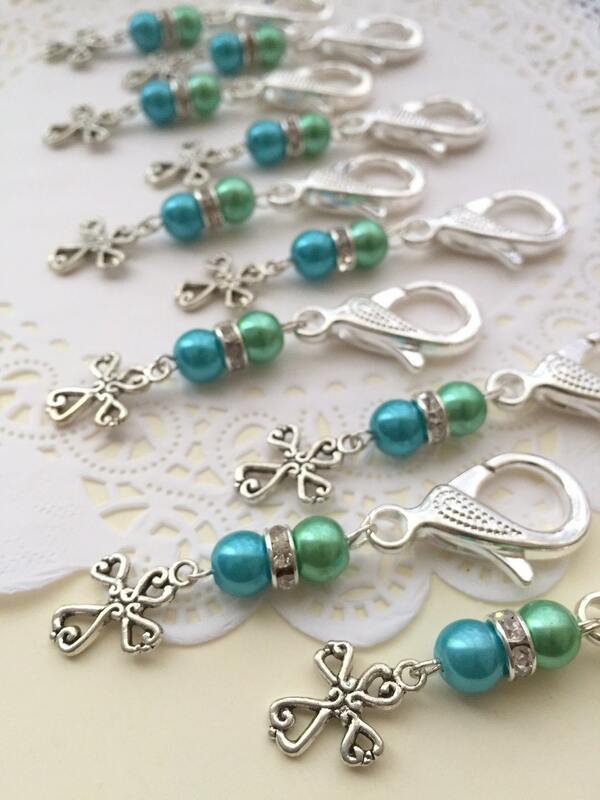 Communion, baptism, keychain, purse clip, party favor, cross charm. SET of TEN. Choose color. Give your guests something personalized, something from the heart and something they will remember your event by. This listing does NOT include the personalized notecards or matching organza bags. They can be bought at an additional $0.50 per card/bag. Godfather, Godmother, SET of TWO keychains, cross, handstamped keychain. FREE Notecard. Communion charms, including cards, baptism, party favor, cross charm. SET of TEN. Choose color. Communion, baptism, party favor, cross charm. SET of TEN. Choose color. Dreamcatcher, dream, party favor, zipper pull, dream catcher, charm. SET of TEN. Choose color. Angel bookmark, Communion favor, baptism favor, christening favor, baptism keepsake, angel favor, including cards. SET of TEN. Baby Shower, baby event, party, favor. hey chain, zipperpull. SET of TEN. Choose color. Communion, baptism favor bookmark set of TEN. CHOOSE colors. Great little religious favour for our celebration. Thanks for the customization on your products. Easy transaction and would recommend your shop to others. I absolutely LOVE this bracelet. The store owner Kristina was an absolute pleasure to deal with and custom made a "Godmother" bracelet for me exactly as I wanted. The material is beautiful, packaging and card were gorgeous and well put together! Definitely my favorite store. Thank you thank you!!! 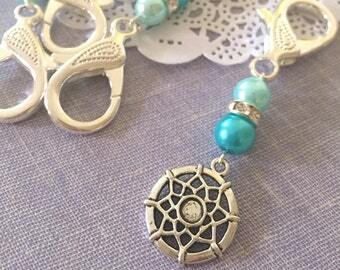 Godmother, cross, glass pearl, handstamped charm, bracelet. FREE Notecard & organza bag. Easter bracelet, bunny bracelet, easter jewelry, rabbit bracelet, bunny jewelry, kids bracelet, kids jewelry, ONE (1) bracelet. We accept Paypal, e-checks and Visa Cards. We also offer the option for local order to pick up their orders at our retail location. You will still have to process your order and check out and pay through Etsy but you can pick up the order and avoid any shipping charges. Please note that you do not need a Paypal account in order to checkout with Paypal. Here at Buy Some Love, it is very important to us that you are 100% happy with your purchase. We try our utmost hardest to ensure that every piece of jewelry that leaves our studio reflects the photos shown in each listing. Please note that you may not receive the exact item that is photographed, but a reproduction of it, since many of the original pieces have found loving homes. We make sure that each reproduction looks as close to the original as possible. If its a custom order, you can request to see a photo before we send it out to ensure that we have your order correct. The above guarantee does not cover normal wear and tear, for which we cannot be made responsible for. Please note that Sterling Silver and plated jewelry WILL tarnish if its not stored properly. An item may be returned for replacement due to defect within 30 days and only after the buyer has e-mailed us. Exchanges may be made ONLY if the item is returned in UNWORN condition with accompanying box and tags. A returned piece will be replaced with the EXACT same item. If the item is not available, the buyer may choose another item(s) of equal or greater value. If a replacement of greater value is selected, the retail difference will be charged. PLEASE NOTE: Any refunds are issued, minus shipping and handling charges, in the form by which the item was paid. We do NOT refund items that did not arrive in time for your special event, if you did not leave us a note on your time restriction, this includes items for gift giving purposes. We do not refund price differences if an item/s was purchased before a sale event. We do not refund items where the measurement was in the listing and the customer chose not to read it. Any returns/exchanges and refunds do NOT cover handstamped personalized jewelry unless it is faulty or there has been an error on our part. Custom orders are final and not returnable, unless there has been some error in my part or the piece is faulty. Please e-mail us to find out what the current turn around time is. Large bridal orders or orders that require complex customization may take longer to ship out. If you are on a timeline and require your order to be shipped out sooner, please leave us a note when checking out or e-mail us through Etsy and we will gladly accomodate your requests. Once your order has been shipped, we will mark off SHIPPED on your invoice and you will receive an email confirming shipment. This means that your order has been packaged up, and is awaiting pick up from our postal service. They usually pick up a day or two after we call it in. We ensure that all our pieces are packaged safely to endure their long trips to their destinations. It is up to our discretion to use gift boxes or use a simple wrap such as bubble wrap. We are able to offer such cheap shipping rates, due to the fact that we can sometimes wrap the items flat with bubble wrap only. To use gift boxes for every order, would raise the shipping prices significantly. We reserve to use boxes only for large, bridal and for items that will break. If this is a gift and you need to receive it in a gift box, we do offer the option to add on a jewelry box to your order. Also, to save trees and our environment, we do not include invoices with your order. If you require a receipt, please let us know. Please note that all packages get shipped out from Toronto, Canada. On average, it takes about 3-5 business days (Canadian/US) or 10-14 business days (international) to arrive once it leaves us. Please keep in mind, holidays and postal delays could also happen. If your order is time sensitive, PLEASE do not forget to let us know when checking out. Starfish, party favor, event, key chain, zipperpull. SET of TEN. Choose color. Photographer, photography, camera, keychain, purse clip. Weapon of choice. Choose color pearl. Runner, running shoes, marathon runner, encouragement, keychain, purse clip. Run with the wind. Choose color pearl. 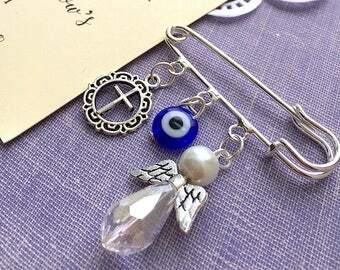 Angel pin, angel safety pin, baptism favor, communion favor, christening favor, evil eye favor, including cards. SET of TEN. Graduation, legal scale, lawyer, law, law student, weapon of choice, keychain, purse clip. Choose color pearl. Doctor, keychain, purse clip, Live, Love, Heal. Choose color pearl. Godmother, ask, handstamped, cross charm, keychain, purse clip, zipperpull. Comes with FREE Notecard and Organza bag.